I’m not saying I have all the answers, but I do know a thing or two about nutrition. Or at least how to fuel my body with whole foods that sustain true health and ultimately happiness, so it’s little wonder that I practice what I preach with my little man too. Since we first started introducing food into his diet, we’ve made a conscious decision to feed him as many nutrients as possible. His diet is varied, very tasty and always filled with vegetables, with our primary goal being to establish a strong food foundation that’s all about involvement, understanding, and of course, healthy choices. Our founding principles are this… – Eat whole foods in their natural state with minimal (if any) processing. This does mean we make everything from scratch, which I understand can be hard for some people, but we feel it’s a top priority for our family so always make time to cook batches of food in advance. Basically, we want every meal he has to be of value rather than empty calories, so whole grains, fresh fruit and vegetables and good quality proteins are always included. A time saving way we do it is to cook our whole grains (brown rice, quinoa or buckwheat pasta etc ) in advance so it’s ready to go in the fridge. – Educate him on where food comes from, what it’s called and how to cook it. 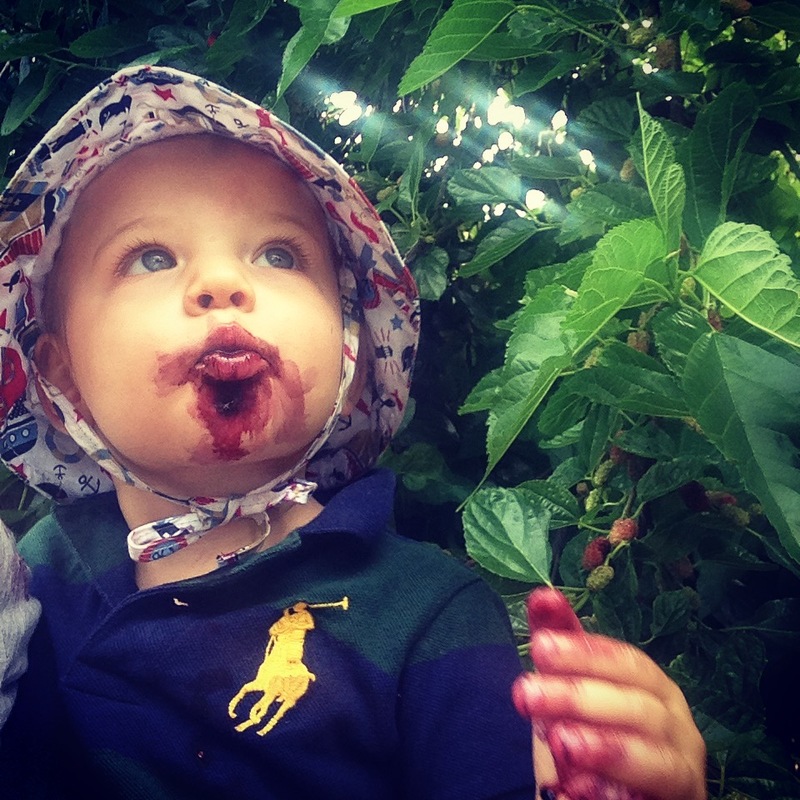 We go foraging, take him to the farmer’s market or grocery shopping, cook with him watching on in his high chair and explain what we’re doing. We also eat almost every meal together (unless he’s asleep) and share off each other’s plates, so he can see that mum and dad eat the same as he does and understand that food doesn’t come from a factory, it comes from a farm. – Vary his nutrients as much as possible. We never assume Arlo won’t like something, even if it’s considered ‘adult’ food. He eats raw onion, garlic, olives, mushrooms, grapefruit, lemon and even small amounts of chilli. He’s not afraid to try new things because we’re always introducing them to him, but even more importantly, he’s getting a diverse cross-section of nutrients because he’s not eating the same thing all the time. – Fat and flavour are paramount. Think about it, would you eat overcooked steamed vegetables without any flavour? My guess is no. So why would your kids? We cook Arlo’s meals with lots of coconut oil (you could use unsalted butter or ghee as well if you like), we drizzle cold-pressed extra virgin olive oil over the top and we add a few drops of tamari or lots of fresh and dried herbs. His meals are PACKED with flavour, they taste delicious and he gobbles them down. – Vary his tastes. Children and naturally drawn to sweet and salty foods, so we give Arlo bitter and sour foods as well to counteract this. Grapefruits, rocket, kale, watercress, sesame seeds and tahini, and turmeric are all on high rotation so that he doesn’t develop a strong flavour preference towards sweet or salty. – Reduce sugar but don’t freak out. We know refined sugar is bad and that a vast proportion of children eat way (way, way, way!) too much sugar, but for us, it’s also important not to become too strict, as demonising something can often make it more attractive. So here’s our stance… Alex and I don’t eat refined sugar at home, so there’s nothing in the house that Arlo would have anyway. For example, we don’t drink juice, so he doesn’t just because it’s not around. 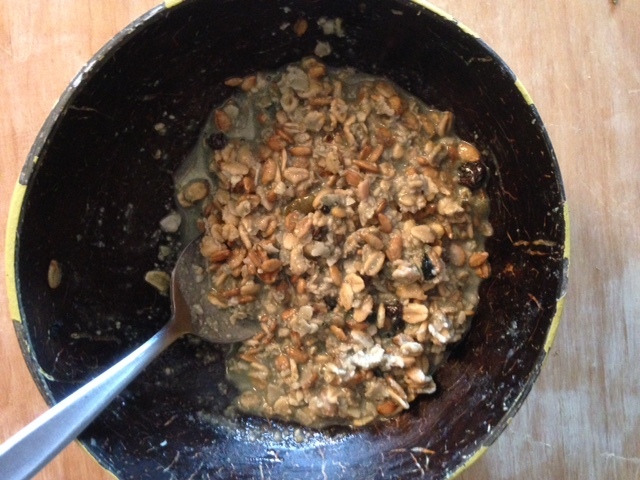 We do eat fresh fruit and add prunes to his muesli, so natural sugars are there, in moderation, for the taking. But if a friend offers him a cookie or he has a bite of an ice cream with Grandma we let it go. Kids are kids and as long as the pendulum swings in the positive direction, small amounts of sugar, in our opinion, aren’t the end of the world. – Food is medicine. Probiotics in the form of fermented foods like coconut kefir, kombucha, sauerkraut and apple cider vinegar are a big deal in my kitchen. I’m obsessed with them. 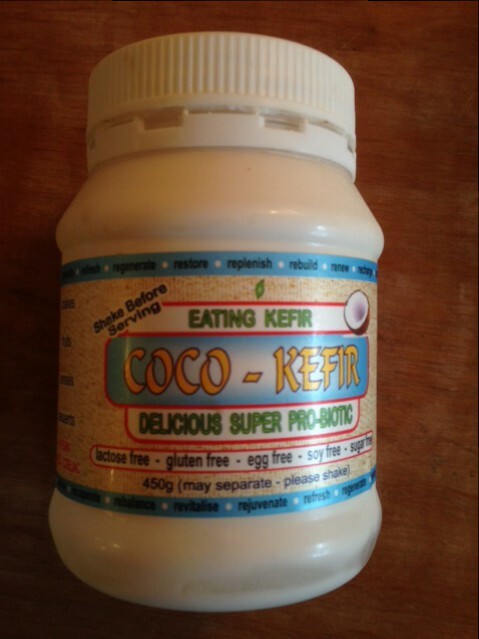 Probiotics help flood the gut with good bacteria, helping to boost your immune system and fight off bugs. Rather than worry about germs, I worry about whether Arlo’s had his coconut kefir that day. The slightest hint of a runny nose or cough is always neutralised with kefir, as well as homemade chicken and vegetable soup, bone broths and green smoothies. Of course I take him to the doctor if he’s unwell, but to be honest, he’s always pretty on point. – Keep calm, consistent and fun. I truly believe kids pick up on your energy. When you’re stressed, they’re stressed. When you’re worried, they’re worried. Try to make meal times fun and enjoyable, yet calm. And be consistent with times and routines if that works for you. I find the best way to eliminate stress around meal times is to be as prepared as possible. I have all of Arlo’s meals ready to go well before he needs them, to reduce that last minute starving panic kids tend to get in. Yes, the wheels sometimes fall off, but that’s okay. Take a breath, relax, and stay calm and consistent – your child will ride out the moment, I’m sure of it. – Reduce snacking. When it comes to snacking each child is individual. Some kids prefer to eat smaller amount more regularly, while others tend to have food put in front of them when they don’t really need it, making them more fussy as they’re not excited about their next meal. We keep snacks to a minimum, instead opting for two breakfasts, one lunch and one dinner. This way, he’s always ready for a meal when it’s presented to him and eats whatever we put down because he’s excited and hungry. That could all change tomorrow, of course, but we’ll deal with that when and if it comes. – Manage dairy consumption. Again every child takes to dairy differently but since I recently stopped breastfeeding I’ve found that he doesn’t really want that much milk. Because he’s eating so much and drinking plenty of water, the desire for milk isn’t there for him. But we do give him the occasional bottle before bed if he’s having a really hungry day and we vary his milks so it’s not always cow’s. Organic, non-homogenised, full fat cow’s milk, as well as goat’s milk, homemade almond milk, rice milk and oat milk are all on high rotation. He’s not a huge fan of yoghurt as he loves his coconut kefir, which is a yoghurt consistency, but he does enjoy cheese a few times a week. Just watch how your child responds to diary and always make sure it’s organic, full fat and preferably un-homogenised. A word on calcium. Obviously calcium is needed for growing healthy bones but it’s important to note dairy isn’t the only source of calcium. Collard greens, broccoli and spinach are all high in calcium, as well as sardines, mackerel and salmon (canned with bones), dried figs, blackstrap molasses and sesame seeds. Soaking your legumes, grains, seeds and nuts is essential though, as they contain phytic acid which can inhibit the absorption of calcium. So with all that in mind, here’s a sample menu of a day in the life of our little man… 1. Breakfast – water and seasonal fruit followed by homemade muesli that’s been pre-soaked when dad wakes up (he’s always first up in our house). It contains: rolled oats (or whole oat groats if you can get them and cook them or sprout them), rolled barley, spirulina, coconut flakes, coconut kefir, chia seeds, soaked prunes (and a bit of the water the prunes are soaked in), crushed nut and seed mix with walnuts, sprouted almonds, sesame seeds, pepitas and sunflower seeds and almond milk. He has this most days but if not muesli, he’ll share our green smoothie, which contains almond milk, coconut flesh and water, seasonal greens (kale, cucumber, spinach), frozen banana, kefir, mint…whatever is in the fridge, really.